Aprille to us can be described as an exceptionally creative and talented person. 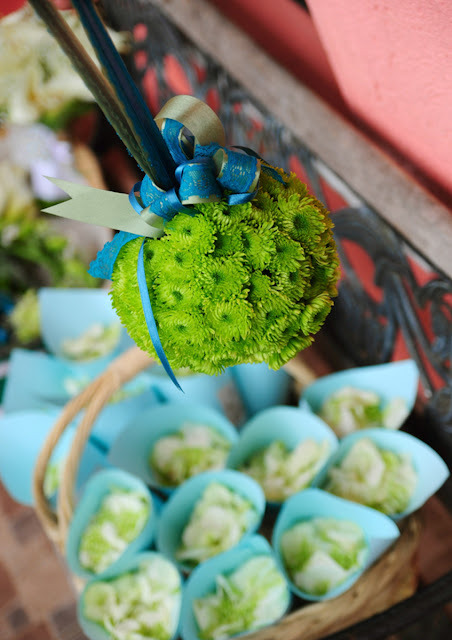 We first saw her work in a friend’s wedding and seeing the arrangements she made we knew immediately that we wanted her. She was the first supplier we contacted to help us out in our wedding and true enough, it was one of the best decisions we made. 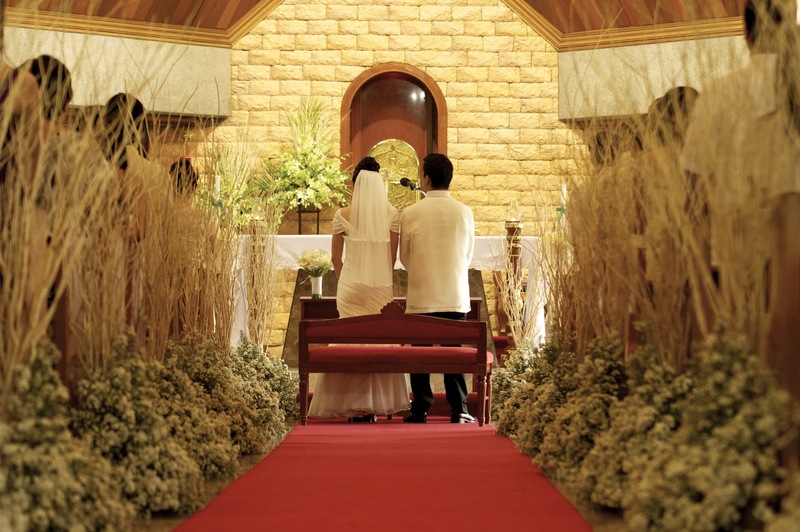 We both wanted to exchange our vows in the place where we first met – hence the definite choice was UPLB.. but as always planning this wedding was easier said than done. Because of the distance, we had difficulty in executing our plans.. going back and forth from Manila to Los Banos proved to be stressful. However, with Aprille’s help, organizing our special day was made easier for us. Talking about her work, what we love about Aprille is not only her sense of style and creativity but her sincere willingness to help out in our wedding preparations. The best example would be when she provided all the details we needed including the contact numbers of wedding suppliers together with her input on who can provide us the best service (when she’s not even our coordinator). Her willingness to help out was truly amazing to the point that she would go to church just to check if it was available on the day we wanted, she even contacted some of the suppliers herself and offered to make a program for our dinner reception (which can be an added bonus for those who don’t have a wedding coordinator). Planning our wedding, we knew exactly what we wanted, every detail was carefully mapped out hoping that everything would turn out best during our special day. But with Aprille, knowing that she has knack of creating wonderful pieces, we just showed her pictures of the concepts we would like to have for our flowers and then let her innovate.. True enough, what she did was way better than what we have in mind. 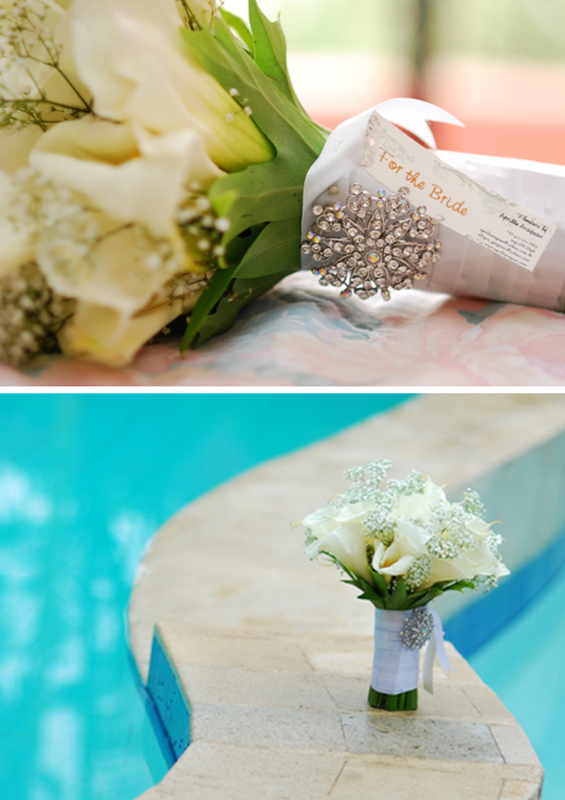 Walking down the aisle, seeing those flowers – it really did took our breath away.. The twigs combined with the asters along the aisle gave an outdoorsy feeling. 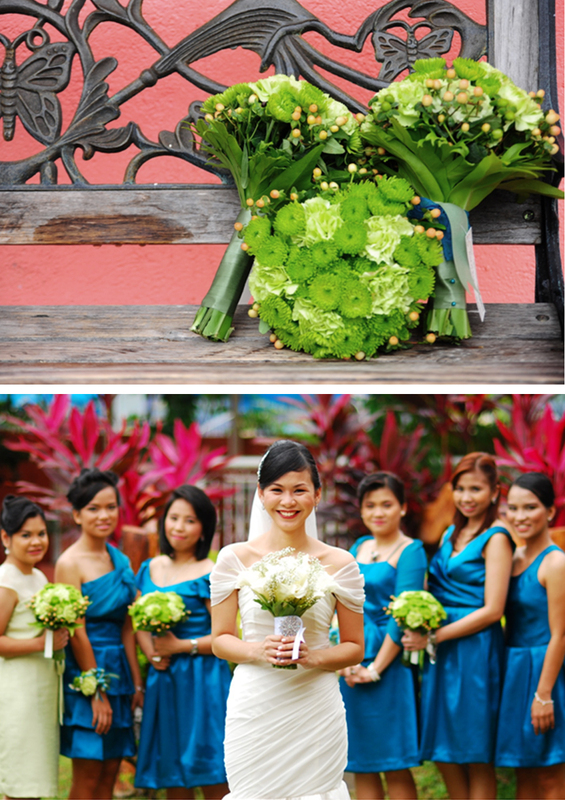 The flowers for the entourage were very simple yet classy just the way we wanted it. Overall, the work she did on our wedding day was truly amazing and we thank her for all the hard work she put in to make our wedding extra special. Keep up the good job Aprille! Credits to Amier Aplal, Franz Dimaano of SLP Photography and Patzipatz Multimedia.